If you ever wanted to refresh your Twitter timeline or text a selfie while on a Metro train under the Potomac River between Rosslyn and Foggy Bottom, that is now a viable option. 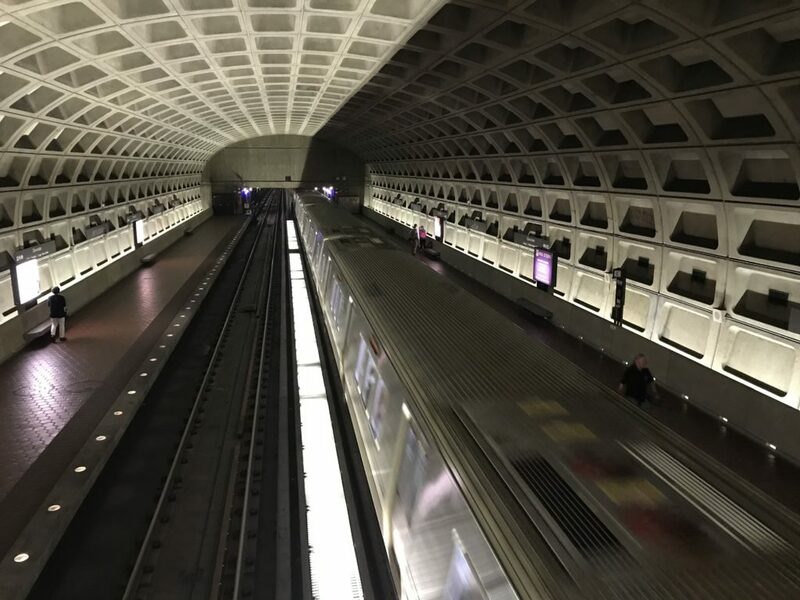 Metro announced Wednesday afternoon that it and the four major wireless carriers had completed wiring the tunnels between Rosslyn and Metro Center and between Rosslyn and Ballston for mobile voice and data service. Also online: a stretch of Green Line tunnel between College Park and Fort Totten. The three tunnel segments that are now mobile-ready are in addition to six other tunnel segments that are already online in D.C. and Maryland, as part of Metro’s effort to add wireless service for all of its 100 miles of tunnel track. The effort, which will also eventually wire the Blue and Yellow line tunnel between the Pentagon and National Airport, is expected to wrap up by mid-2020. The new tunnel segments will undergo ongoing testing and optimization by the wireless carriers to address any performance issues and ensure reliable service for customers. Cellular service is currently available in all Metro stations and on portions of all six Metrorail lines, including most of Downtown DC. Just over 50 of Metro’s 100 miles of tunnel track have been wired for the new system, with new underground segments coming online as the work is completed. Cellular service in all tunnel segments is expected by mid-2020.